How's this for a random acquisition? 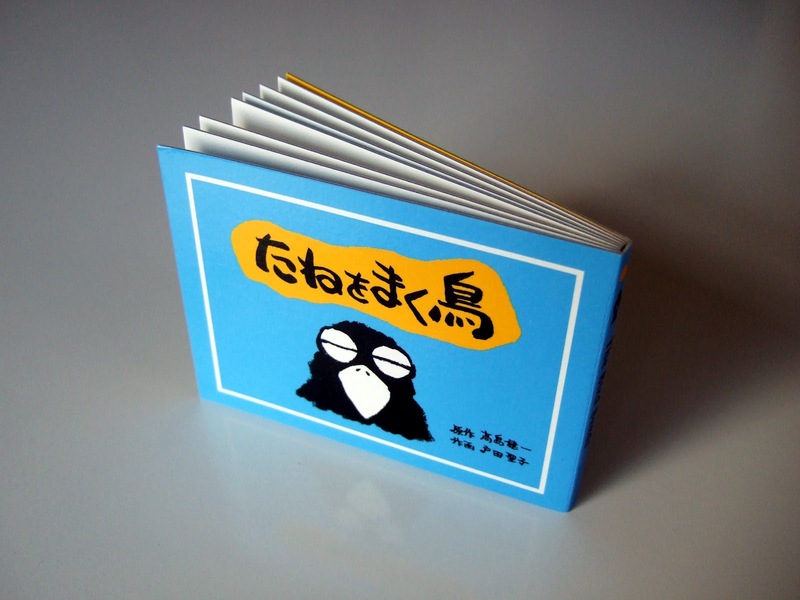 I'm guessing most of you have never heard of Tane wo Maku Tori. Don't feel bad--I hadn't heard of it before I stumbled upon this post over at kimimisblog.blogspot.com a few months ago. 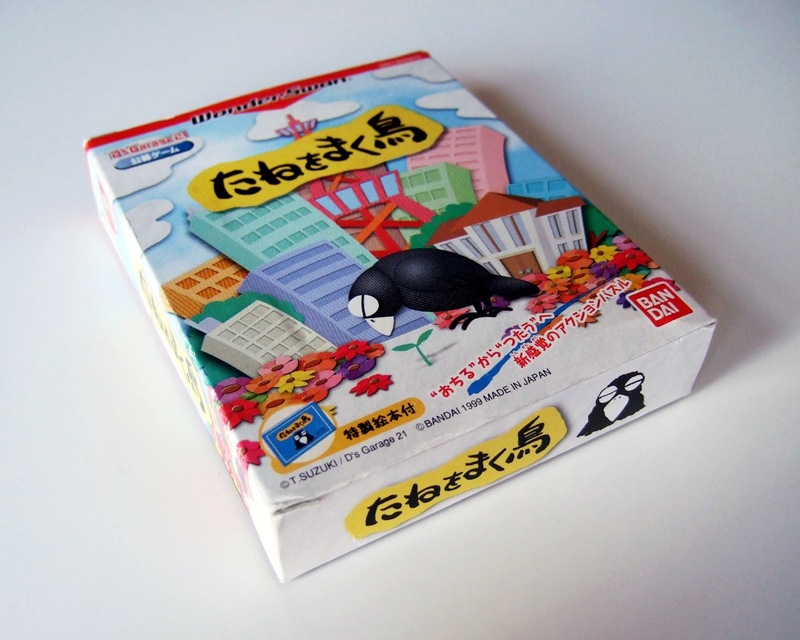 The translation seems appropriate once you play the game, which is a puzzler, of sorts, that tasks the crow seen on the packaging below with helping direct drops of water that fall from the top of the screen to the seeds that sit at the bottom. Anyway, if you'd like to learn more about this peculiar puzzler, click on the aforementioned link to Kimimi's blog (or wait for my review of the title, which will be published ... sometime after I finally buy a WonderSwan). Also, for a few more photos of this game's box, cardboard "storybook" (above) and cartridge, check out my Flickr photostream. I only have one Wonderswan Color game (Makai Toushi SaGa, the remake of Final Fantasy Legend for Gameboy), I should look into more of them! As for getting a SwanCrystal rather than an original WS or a WS Color: Don't worry, that's my plan. Unfortunately SwanCrystal's aren't backlit either, but they are arguably the best non-lit handheld screen ever made if that's any comfort.